I must first apologize for the delay in publishing my blog which I try to do once a month. My wife and I just recently returned from a wonderful three week tour of Australia / New Zealand which was very enjoyable, interesting and exciting but also quite tiring. So after catching my breath, I am finally publishing my latest article. Thank you for your patience. A few months ago, I wrote about the original Manila Polo Club located in the posh Pasay area where wealthy Americans and Mestizos built large mansions fronting beachfront property with their glorious views of Manila Bay. Part of that story dealt with a historical fork in the road when the Elizaldes, who were legends in the sport of polo, splintered off and created another polo club of their own, Los Tamaraos Polo Club. The idea of colonialism was widespread before WWII. The British, Dutch, and Spanish governments continued colonization of Asian countries for their trade and natural resources that, of course, greatly enhanced their coffers. After acquiring the Philippines from Spain, many Americans found their new colony came with a great responsibility calling it “the white man’s burden”. Teachers were sent to educate and “civilize” the natives, the Burnham Plan was developed to beautify Manila and Baguio and a rash of entrepreneurs relished the economic opportunities they foresaw in this new market. Not to say that this was a totally negative compromise as the cities and the people themselves benefitted from the education, commerce, health and beautification efforts that were done by the new colonists. But there seemed to be an overall sense of an innate white superiority over the Filipinos. They banded together socially in neighborhoods such as Ermita and Malate and had their own exclusive “white” clubs such as the Army Navy Club, Elks Club, University Club, the Manila Club (primarily British) and even public houses such as the Manila Hotel. Discrimination was found even in cabarets such as Canson’s Santa Ana Cabaret; the Legaspi Club would have a demarcation line separating Filipino and American customers. The barriers started to drop, albeit slowly, one evening when Gov. F.B. 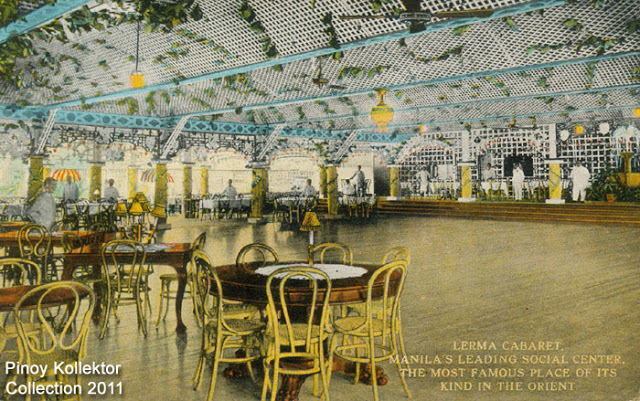 Harrison, who had at the onset of his governorship installed a Filipinization program to supplant the American administration with qualified Filipinos, made a point to reserve a table for his party at the Lerma Cabaret that included his Filipino guests. When the Manila Polo Club was founded by Gov. 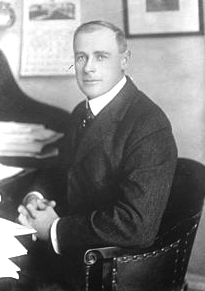 Cameron Forbes, eligibility into the club included this in the By-Laws, “No qualification in regard to nationality or religion shall be made.” However Forbes stated that “I had hoped that the Club would be a meeting place for people interested in health and outdoor sports; and while not exclusively for Americans, and others not native to the Philippine Islands, it was primarily for them.” Was this meant to exclude Filipinos ? One of the more famous rifts of the late Thirties was when Manolo Nieto, aide to Pres. Quezon and a friend of the Elizalde family was denied membership at the MPC. This discrimination proved to be the impetus for the creation of two quite different but important social clubs in Manila before the war: Los Tamaraos Polo Club and the Wack Wack Golf and Country Club. I will be writing about Wack Wack in my next article. From the very beginning, the Los Tamaraos Polo Club functioned very successfully as both a sports and social club, promoting and hosting international polo matches in the Philippines. The Elizalde brothers (above: Manolo, Juan, Angel and Miguel) were primarily responsible for bringing world class polo to the Philippines. As far back as 1926, “Mike” and Angel Elizalde were part of a quartet that won the Far Eastern Circuit Cup (for the Manila Polo Club). In the years 1934 and 1935, the four brothers swept through tournaments without a defeat, again winning the FEC Cup for both years. Official recognition came from the American Polo Association and the brothers became one of the world’s highest handicapped brother teams. 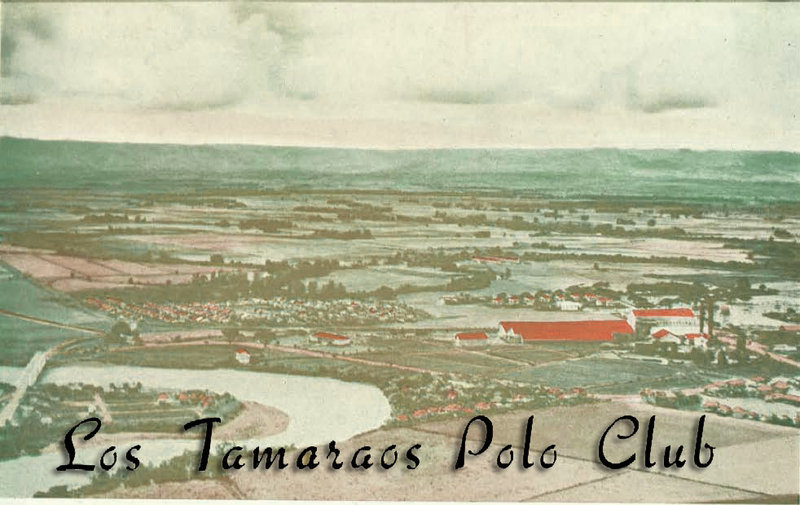 On January 9, 1937 the Los Tamaraos Polo Club inaugurated its new clubhouse in Parañaque. Its polo field was rated as one of the best in the world. Commonwealth President Manuel L. Quezon was inducted as its honorary club president. The club field and buildings were located just south of the Manila Polo Club on a rolling tract of high ground skirting the fast-developing Parañaque beach along the new Dewey Boulevard extension to Cortabitarte. The exterior of the clubhouse exhibited a predominantly Georgian design. View of the clubhouse taken from the west stand showing the bodega and tennis court. The beachfront area south of Pasay became quite attractive especially to the Americans and Filipino elite. Due to the location of both the Manila Polo Club and Los Tamaraos Polo Club, this residential district commanded high real estate prices where the wealthy built their mansions. Granted, Los Tamaraos was now integrated, but also rather limited to the upper class and wealthy. Most of its members were part of the exclusive social set of Manila’s elite. MANILA (P.I. ), Jan. 10, 1937 “Three thousand persons witnessed the dedication of the Los Tamaraos Polo Club by the President of the Philippine Islands (Señor Quezon), after which the Elizalde brothers won a closely-fought game from the Australian team comprising P. Braerj, A. A. Henderson, H. Finlay, and B. T. Allison, by six goals to five. The Australians received three goals start. Doña Aurora Quezon, Mrs. Elenita Elizalde and Pres. 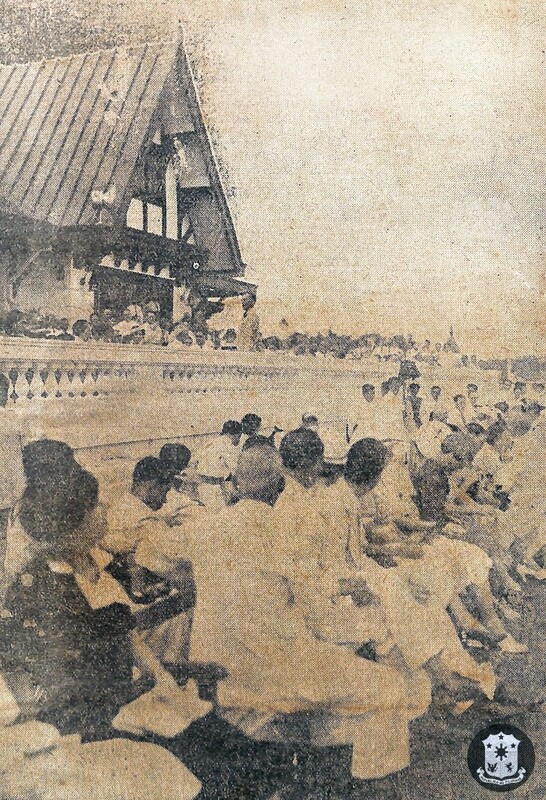 Quezon watch the 1937 opening day match. Interior view as you enter the Clubhouse. The West porch showing steps leading to the stable. View of the Clubhouse from the stable grounds. The stable called “Thoroughbred’s Row”. It took a large staff of grooms, veteran horse trainers and keepers to tend to the daily requirements of about ₱100,000 (1940 value) worth of horseflesh. For more about the sport of polo in the Philippines, please refer to my previous article about the Manila Polo Club. A huge thank you to Mrs. Patricia Ottiger for her invaluable help in sending me a digital copy of the Los Tamaraos Annual of 1940. Thanks for the interesting article and pictures. One small correction, the phrase “White Man’s Burden” was coined by Rudyard Kipling. Thanaks again for a trip down memorya lane for the Philipiine History. Very interesting topic, Lou! 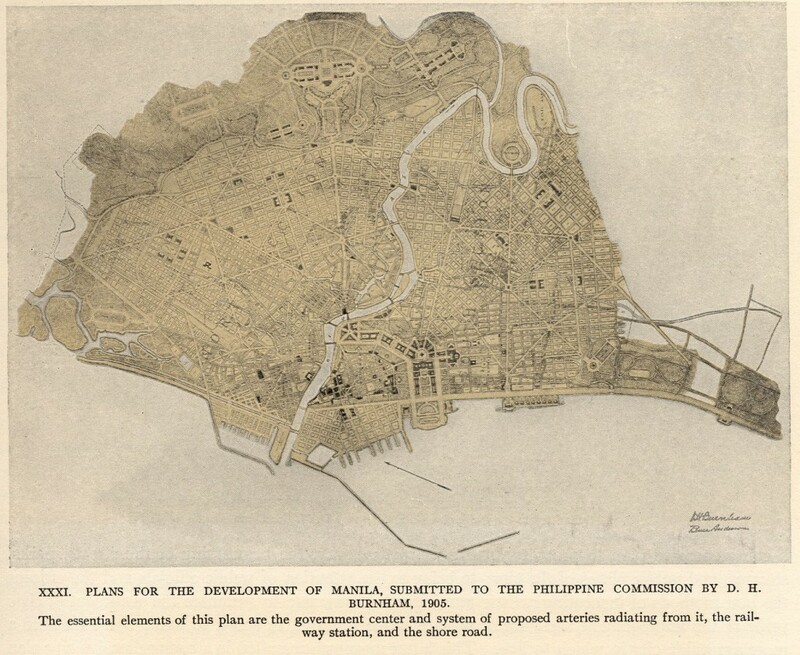 Very interesting segment of Manila history. As always I enjoyed the pictures that accompanied the historical details making it easy to visualize a period before my time. Great job Lou! Thank you Manolo and thanks for the link. I would like to include a couple of the photos from the Presidential Museum with your permission. No need for permission! The collection is there precisely for the public to use subject only to the standard attribution of source! The picture of the Elizalde brothers, President Quezon, Chick Parson’s and Earl Hopping must have been taken somewhere other than the Philippines! They’re bundled up in heavy coats and scarfs which would not have been needed at any time of the year in Paranaque! Another great job Louie! Looking forward to learning the history of Wack Wack . My father “wacked” many a golf ball there! I questioned that too but contacted Peter Parsons and confirmed it was in Manila. Back in those days, cool breezes would come off the bay in the evening and sometimes were considered “chilly”. The team had just completed the tournament and were sweaty and may have decided to keep their coats on to avoid catching cold. Besides, the Elizaldes were always dapper dressers !! If not for this articles I could not have known about the polo and its history here in our country. I knew long before that it was played by horse-riding men and have to put the ball by their ( sorry , even that stuff that they used to put the ball into the net I did not know ). I was born in the late 50’s and grew up in my teen years knowing only the then already popular game of basketball during the prime of Manila Industrial and Commercial Athletic Association. My favorite team then was owned by Don Manuel and one of the great teams because of the popularity of Freddie Webb ( the former senator) .But now that you gave me how polo begun and evolved here in our beloved city, I wish that I was there already during the Quezon-era and witness the glory years of those polo clubs. I was not aware that Don Manuel E. and his brothers are few of the greats here in the game of polo in our country back then. Another superb and inspiring story Mr. Lou. Thank you so much ! Angel Elizalde was my grandfather, his daughter Angela, is my mother. The above was fascinating……especially so given that my daughter, only just 3 years old is now mad on horses, and yet she has had hardly any exposure to them! I have forwarded the above link to my mother. I hope she can give you some further input.